What is it about antiques that makes them so popular? Maybe it's the mysterious connection with the past - wondering where the antique has been, who owned it, what their lives were like. Maybe it's that an antique can be at once a beautiful decoration for the home and a lucrative investment. 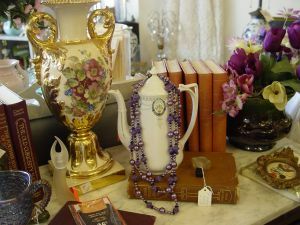 Knowing about antiques is just the beginning of the journey. Whatever the draw, every year the search for an antique sends millions of people worldwide tramping through country shops and scanning websites with fingers crossed, hoping that the actual product really is as wonderful as it looks on the screen.